The perfect way of spending a holiday or a weekend. Great location, great food and convenient prices. Come to the Residence Alberata and enjoy the green heart of Italy, mixing the natural and architectural beauties of Umbria with fine food and wine. 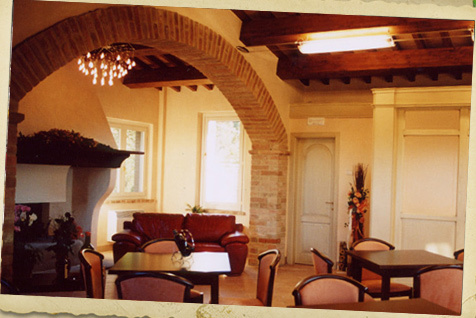 The six comfortable apartments, one of which is equipped for use by the handicapped, are named Fabiola, Chiara, Elena, Anna, Luisa and Giulia, after the women of the household, from grandmother down to the youngest granddaughter. Your stay will be made extra special by the warm family hospitality we offer. A food emporium run by the Adreani family since 1915 is open to our guests, offering high quality cured meats and cheeses, together with a variety of prepared dishes. Ristorante l'Alberata utilizzerà le informazioni che fornirai per restare in contatto con te e per inviarti aggiornamenti e comunicazioni.